and I was inspired this weekend to make one of my own. Jump Rings 2 medium 2 large. All of my supplies I bought from Michaels. 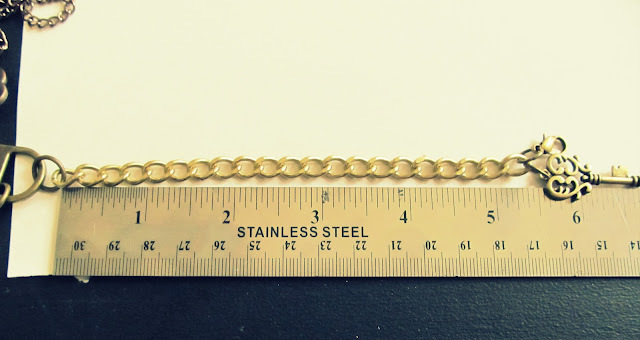 Measure your chain 5 1/2 inches long. With pliers add one of the large jump rings to the chain and then to the lock. 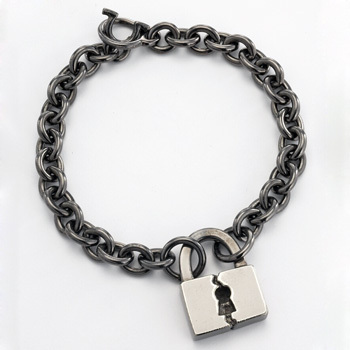 Take the other large jump ring and add that to the other side of the lock. 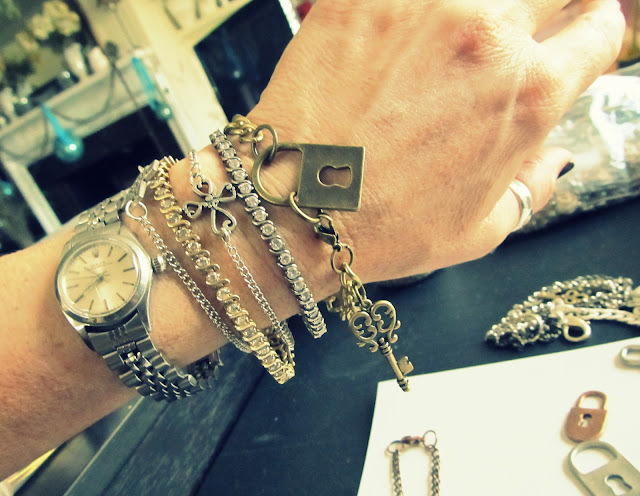 Then add your medium jump ring and clasp to the other end of the chain. 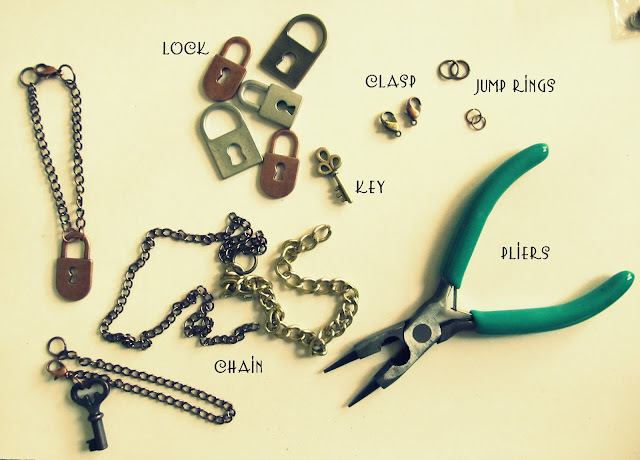 Now add your other medium jump ring to the key to the same end as the clasp. Wear it or give it to your favorite person. 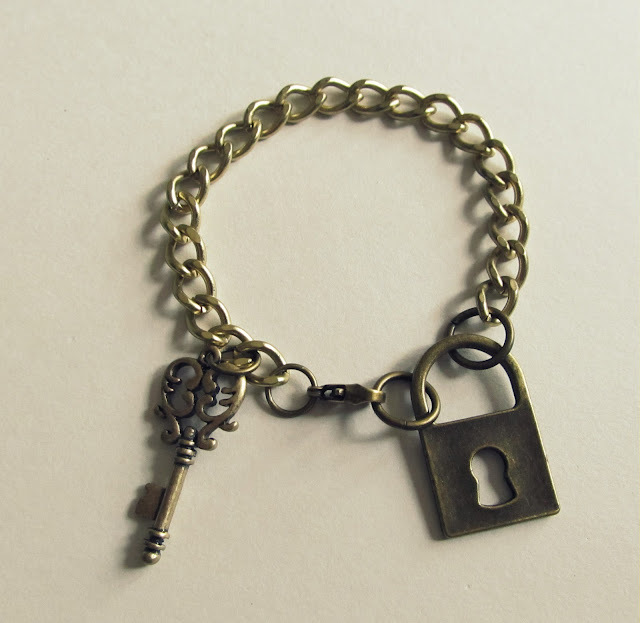 I did a line of antique keys(cast in sterling)hung on sterling ball chain chains and mostly gave them to friends with messages like: key to your dreams, key to the future, etc... depending on the friend. 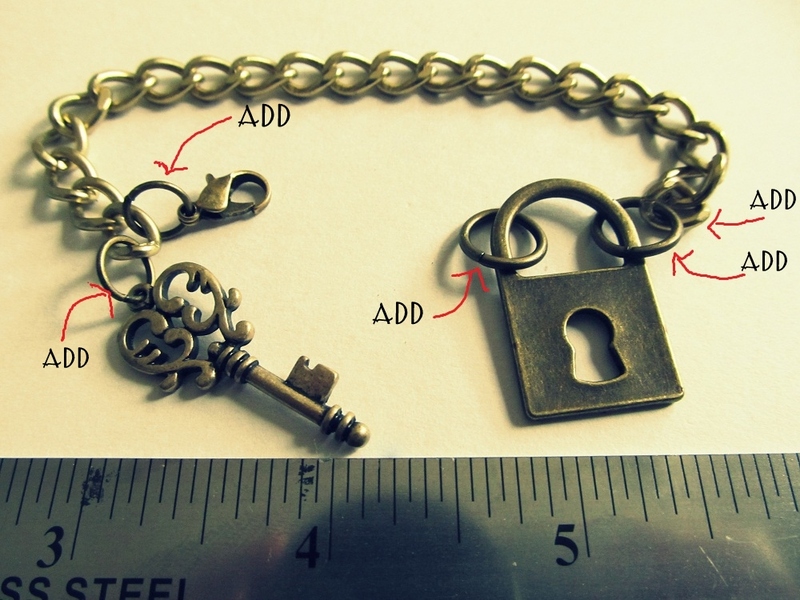 So I genuinely love keys and this tutorial with the added lock gets me thinking of more things I could do with them. Also, posted this on my blog (top photo and of course a link back to your blog). I have loved Tiffany keys since forever but this is a bit more my budget! How much cooler to say you made your own, than nought a cheap knockoff on eBay? I love this! I will have to get the items from Micheal's the next time I am over that way. Thanks Anne! so classy and pretty friend! The Brads Have It. DIY, Purse Re-Style. Polka Dot, Cropped Shirt, DIY. Charm Me, Charm Bracelet DIY.